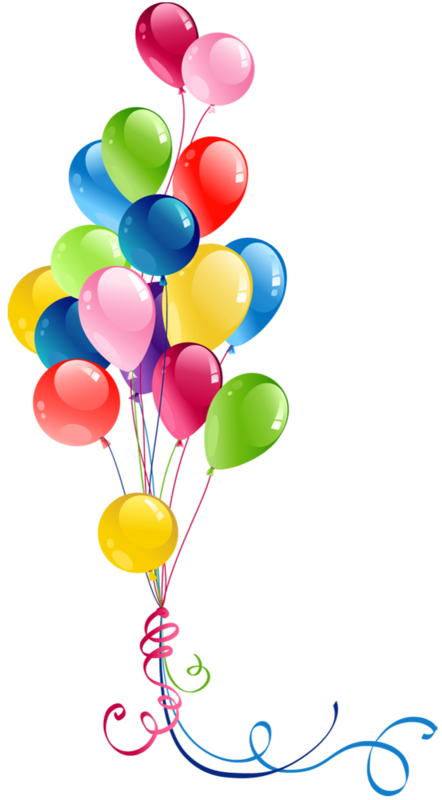 April 2019 - 100% examination success! Classes begin on January 7th 2019 at Mycenae House. Last night we held a Gala Benefit at Mycenae House to raise money for The Cystic Fibrosis Trust. We raised £885 which is testimony to the great teamwork and effort by all. Heartfelt thanks to everyone who participated. Check out our Facebook page for full photographic coverage. One week before our concert at Mycenae House and we have exciting news of a new venture for children. 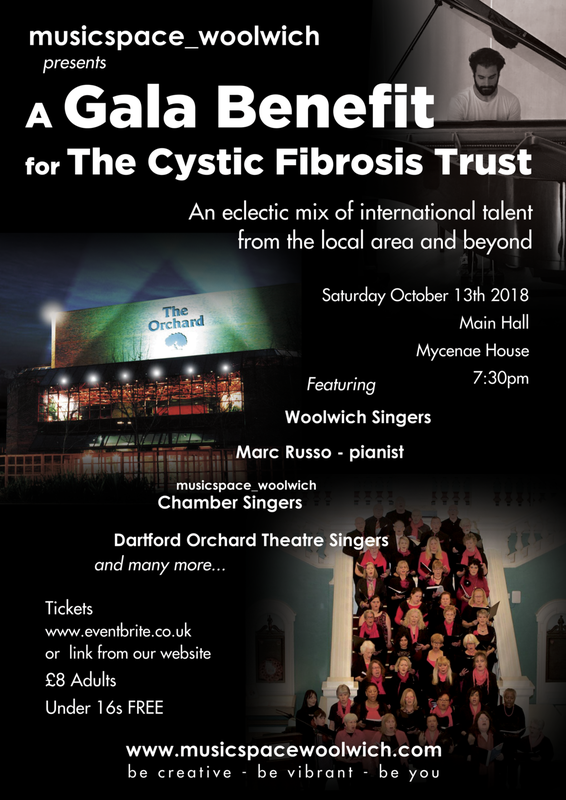 Tickets are selling fast for our concert on October 13th 2018. Don’t miss out. Our venue has a limited capacity. Children do not require a ticket. Follow this link below to purchase tickets. Our latest choir at the Churchill Theatre, Bromley has made Friday mornings fun. 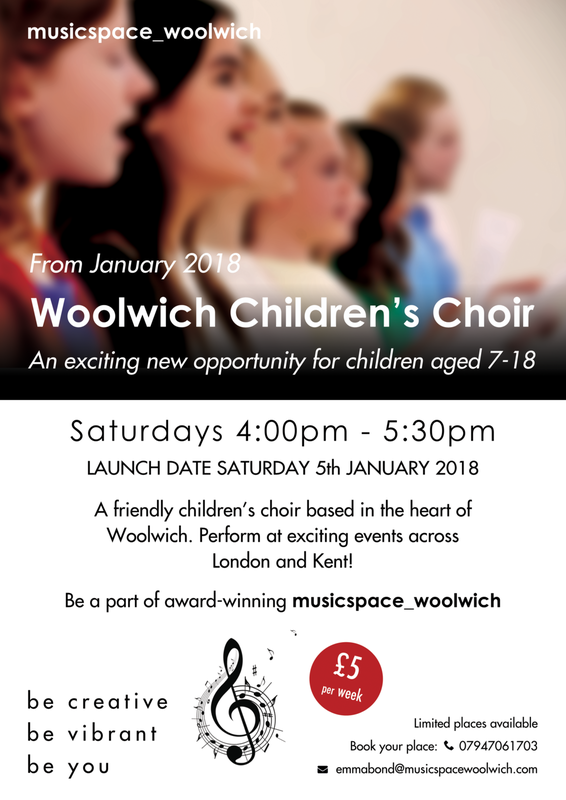 Email emma@musicspacewoolwich.com for more details on how to join us. Lots of developments to report. musicspace_woolwich is delighted to announce a creative partnership that has been established with The Churchill Theatre, Bromley, starting in September. Weekly rehearsals will take place each Friday at The Churchill Theatre. Keep a watch on the www.musicspacewoolwich.com for enrolment details. 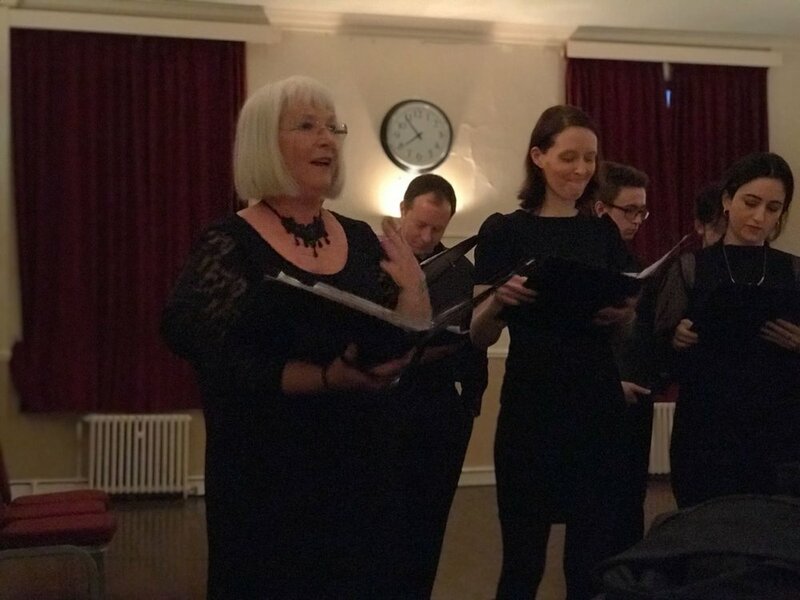 On April 9th musicspace_woolwich presented a celebration of local talent at Mycenae House. It was a packed evening platforming an eclectic range of musical styles. From beginners to advanced, it was a night to remember. Check out the photographs below and via the Facebook link. 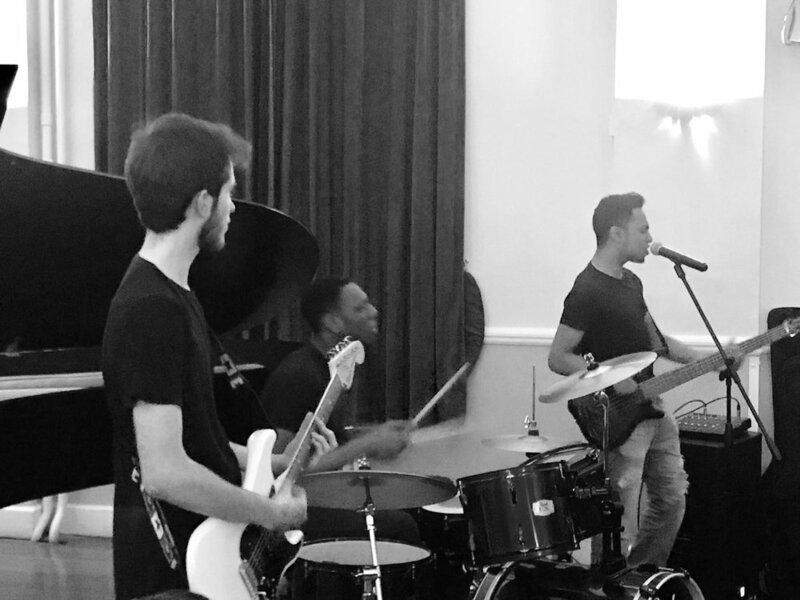 musicspace_woolwich presents "Spring' - a celebration of local talent on April 9th 2018 - The Three Tribes playing at Mycenae House. Carolynne expertly translates the Norwegian of 'Ven Kan Segla' to the audience. 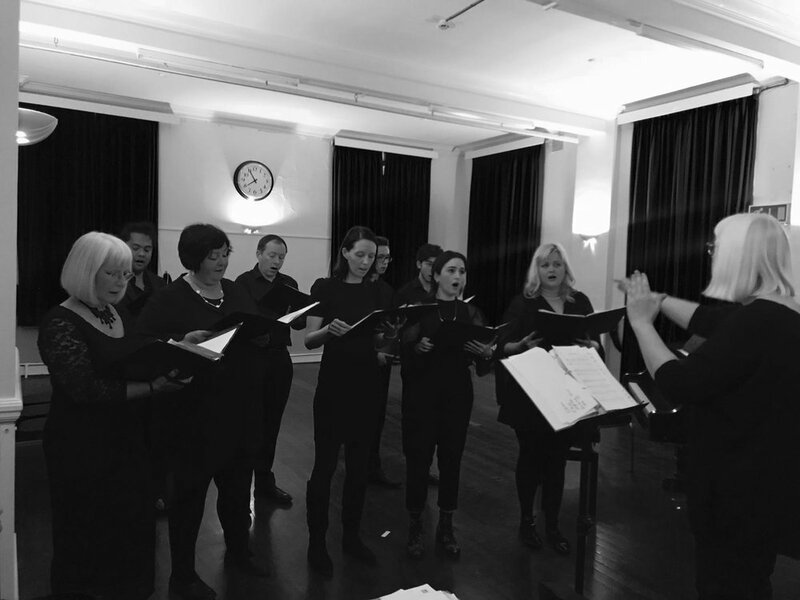 musicspace_woolwich Chamber Singers at Mycenae House on April 9th 2018. A little reference to John Williams. The ever-ethereal music of Berne- follow her on Twitter @soundslikeberne.